eb ready to wear brings an innovative, fun, enthusiastic and loving approach to wardrobe and style consulting. We believe when you look and feel fabulous that energy and confidence radiates to everyone and through everything you do. Let an eb ready to wear trained professional edit, streamline and provide fresh ideas to add new life and energy to your existing style and wardrobe. eb ready to wear presents and discusses a personalized detailed shopping list that helps you update or complete existing outfits on your next shopping venture. Education is the key, so let us take you shopping to teach you confidence in selecting your new style and clothing. • Put outfits together with ease. • Be completely confident while shopping. • Feel fabulous every time you step in and out of your closet. In addition, we will provide an easy-to-follow organization list for simple maintenance. Clients are consistently surprised and inspired by the revitalized energy found in their wardrobe and closet. Contact eb ready to wear to schedule your free one-hour appointment and wardrobe analysis today! Do you travel between multiple homes? Do you struggle remembering what pants or shoes you have at which home, so you pack an entire suitcase just to be safe? Clients with multiple homes set the precedent for our niche market. We will design you a customized wardrobe management system so you never have to worry and over-pack again. eb ready to wear will provide Transportation Lists, which make sure your favorite must-have items arrive at every planned destination. In addition, members of Fashion Flash have the ability to log on 24/7 year round to their personal, password protected site on ebreadytowear.com from any where in the world to view each wardrobe at each home. Contact eb ready to wear for further information on how your wardrobe can be streamlined, organized and stylish in all of your homes! Having a difficult time putting outfits together or remembering what you have at which home? We provide a personalized wardrobe catalogue that records which top, pant, scarf, handbag, and pair of shoes combine successfully along with keeping track of their locales. A visual look-book in the form of a printed book, DVD and/or online at ebreadytowear.com helps those that struggle with color and style coordination or the global fashionista to look fabulous every day. Become a member of Fashion Flash. Our digital look-book and catalogue allows members to log on 24/7 year round to their personal, password protected site on ebreadytowear.com from any where in the world to view all of their wardrobes. Contact eb ready to wear for further information and special Fashion Flash pricing to get started now! It is not about getting organized—it is about the constant process of being organized. Editing your wardrobe is also a constant process. 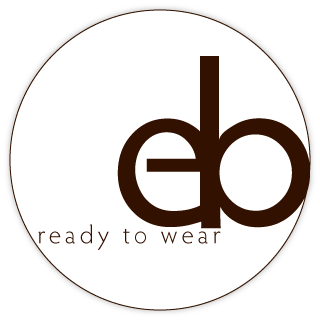 Let eb ready to wear maintain your wardrobe on a seasonal basis to keep you and your wardrobe up to date and organized. Contact eb ready to wear to schedule your Refresh appointment today! We recognize that everyone’s needs, desires, paths and budgets are different. That is why we will work together to establish your goal and what combination of the above services would serve you best. Services are billed at $100 per hour and we travel all over the United States to service our clients in a consistent and as needed basis. Please ask when eb ready to wear will be in your town. Travel fees vary based upon your availability and locale. Gift Certificates are also available. They are perfect for both men and women that need a little wardrobe inspiration. Gift Certificates make great birthday, anniversary, holiday, Valentine’s Day, Mother’s Day, Father’s Day and graduation presents. Contact eb ready to wear today!